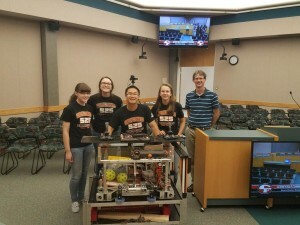 FIRST Robotics Competition Team 525 Swartdogs started the school year off with community outreach events and fundraisers. 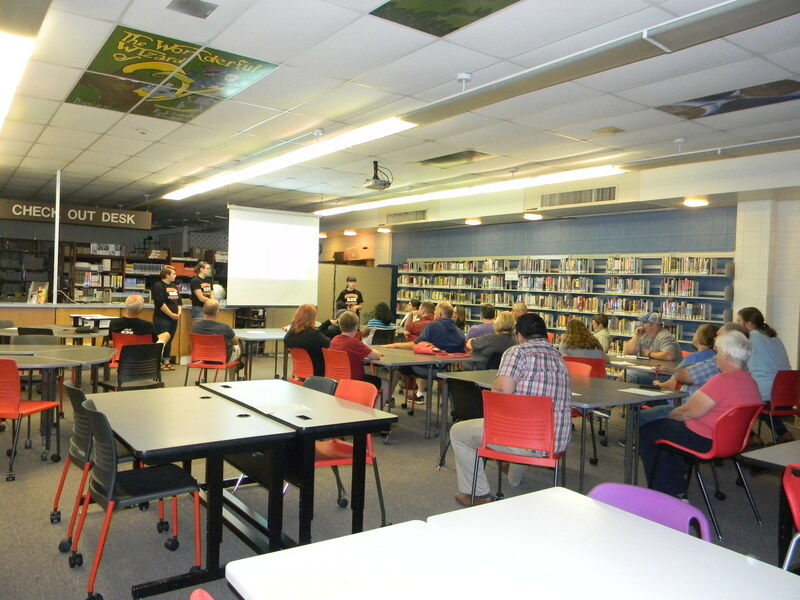 To start the new school year, we organized, led, and ran a workshop for FIRST LEGO League (FLL) and FIRST LEGO League Jr. (FLL Jr.) coaches and mentors in the Cedar Falls School District. 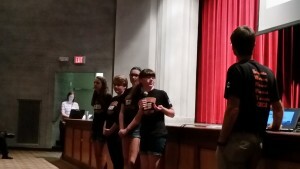 The increase in sign-ups for FLL and FLL Jr. teams meant many new coaches and mentors. As a result, our goal for this workshop was to prepare the coaches and mentors and make them feel more comfortable as they started their seasons. The workshop started with information on FIRST and how to get the teams started. 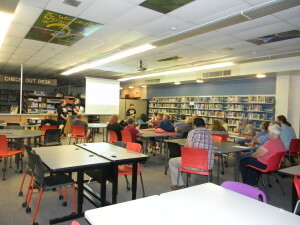 Then, we split into two groups where there was one session for FLL and one session for FLL Jr. In the FLL session, we talked about the three parts of FLL (the robot, project, and core values) and what teams will do at a FLL Regional Qualifier. The FLL Jr. session covered information on the Show-Me Board, LEGO model, and core values along with the responsibilities of a coach or mentor. Also, Camille Sloan Schroeder and Nicole Fannin from Iowa State University came to answer any additional questions that the coaches or mentors had. We would like to thank them for their help and support at the workshop! The beginning of September was very busy. 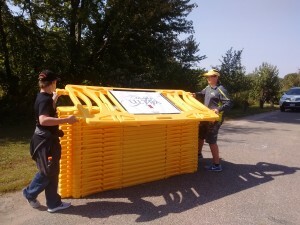 We started by volunteering at the Park to Park race at George Width Park. We helped with directing parking, bike valet, food tent, garbage clean up, congratulating runners at the end of the race, the results tent, and clean up. We continued that day by exhibiting at ARTapalooza, an annual art festival in Cedar Falls. Artist from all over the Cedar Valley show their artwork along with providing entertainment, demonstrations, and children’s activities. 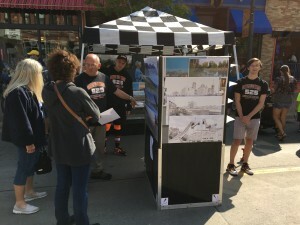 At our tent, we sold pictures taken by students and mentors, including pictures from our visits to China. We also sold CAD models of our old robots. While we were selling pictures, the main goal of our exhibit was to get people interested in FIRST. 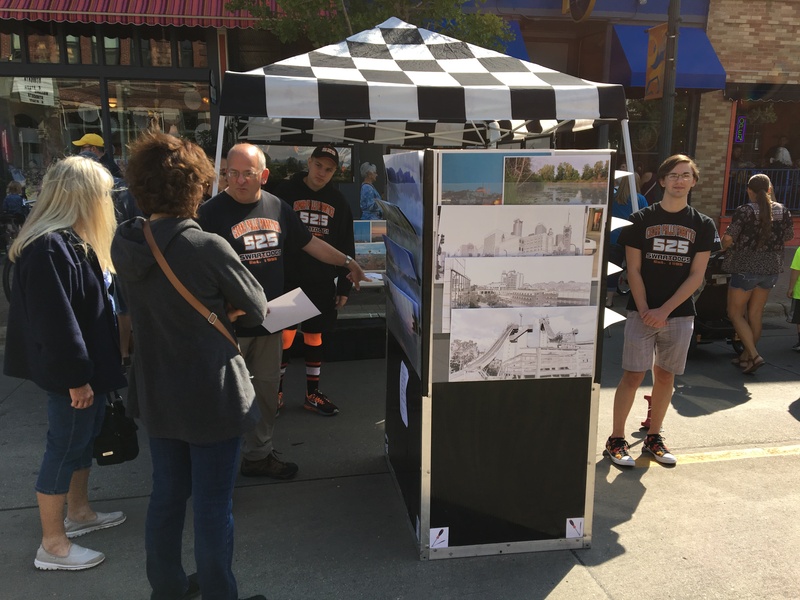 We explained what FIRST is, its four programs, and what FRC is to visitors passing by our tent. We also handed out brochures and handouts for more information about FIRST and getting involved. 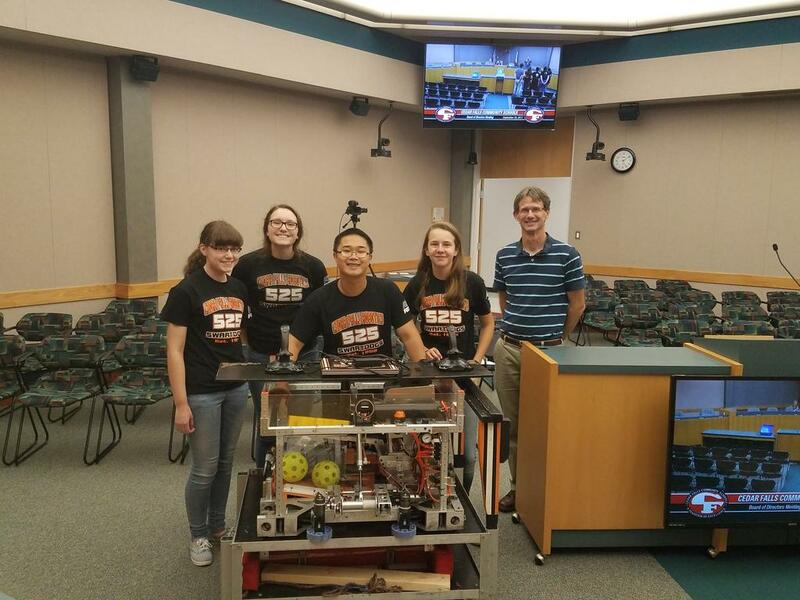 Later in September, we presented to the Cedar Falls School Board. Our goal was to inform the school board about what our team does and opportunities that students in the Cedar Falls schools have within FIRST. We talked about what FIRST is, what our team does, and the FIRST teams within Cedar Falls. We also brought our 2017 robot, Miguelito. This presentation was part of the school board meeting that was televised on channel 15. Overall, we had a very busy September filled with lots of outreach and opportunities.